Margherita (Ghita) Abi-Hanna was born in Kuwait in 1979 where she spent the first ten years of her life. In 1990, her family moved back to Lebanon. She continued her high school education at the Lycée Franco-Libanais and then completed her studies at the American University of Beirut, obtaining a Bachelor in Graphic Design with distinction in 2002. After graduating, she worked as a senior graphic designer with local design and communication agency “Mind the gap” for almost three years, following which she decided to branch out and start her own career as a freelance designer. In 2009, she moved to Italy to attend a one year master program in accessories design at Domus Academy in Milan. Currently relocated in Lebanon, Ghita launched her own line of leather accessories and jewelry. Her self-named brand “Margherita” consists of bold designs, for the most part carefully hand-crafted by Lebanese artisans using predominantly natural materials. 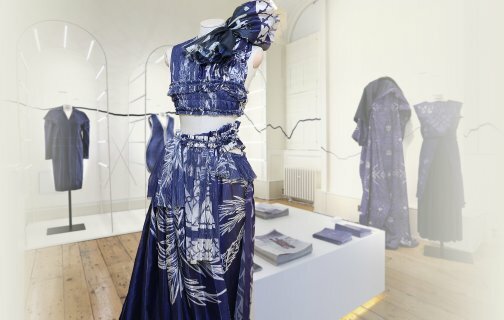 Her debut collection has been selected by Starch and is displayed in the boutique in Saifi as of this October 2010.